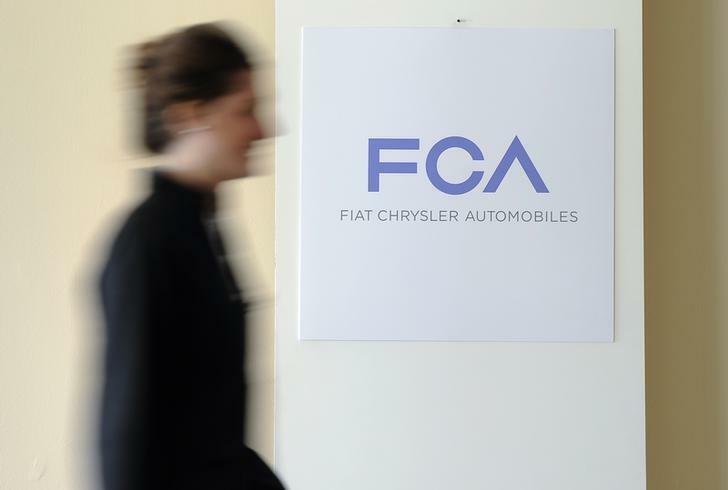 WASHINGTON (Reuters) - Fiat Chrysler Automobiles NV (FCHA.MI) said on Wednesday it is speeding up its software fix for 1.1 million recalled vehicles for rollaway risks like the recalled Jeep Grand Cherokee involved in the death of actor Anton Yelchin. The company said that last week it began providing software required to service vehicles to its 2,400 U.S. dealers after initially telling owners that the fix would be ready in the fourth quarter of the year. On May 24, Fiat Chrysler told dealers the software would be ready no later than July or August. The company will start notifying owners of the availability of the recall fix on Friday. Fiat Chrysler said "advance planning is critical to efficient customer care and represents an acceleration – by several months – of the originally anticipated service launch." Reuters reported Tuesday that some dealers had already started scheduling repairs for vehicles. It is not clear how many vehicles have been repaired. The software is available for the vehicles equipped with 3.6 liter and 5.7 liter engines, which account for a majority of the recalled vehicles. Fiat Chrysler said the software for the remaining vehicles will be available soon. The upgraded software includes an “Auto Park” feature that "eliminates the possibility of the driver inadvertently failing to place the transmission into 'PARK' prior to exiting the vehicle," according to a document sent to dealers first reported by the automotive website Jalopnik. Yelchin, best known for playing "Chekhov" in "Star Trek" was killed when his 2015 Jeep Grand Cherokee rolled away and pinned him against a fence and mailbox in Los Angeles, police said on Sunday. Fiat Chrysler in April recalled more than 1.1 million cars and SUVs worldwide because vehicles may roll away after drivers exit, an issue linked to 41 injuries, 212 crashes and 308 reports of property damage. The U.S. National Highway Traffic Safety Administration, which upgraded its probe into the issue in February, said earlier that its "investigation of the shifter in these vehicles showed it is clearly a safety issue that has led to hundreds of crashes and dozens of injuries." The agency said it is monitoring investigations into Yelchin's death by Los Angeles police and Fiat Chrysler. No determination has been made if the recall defect was to blame for Yelchin's death.